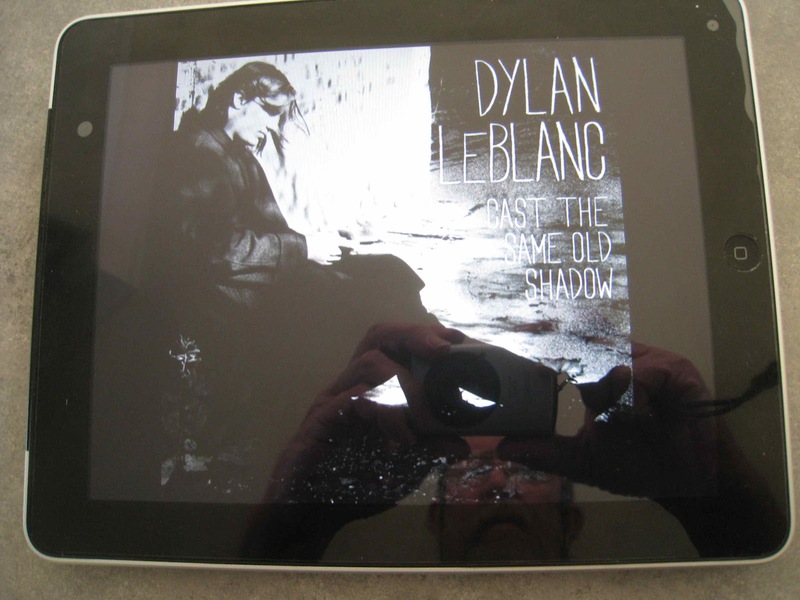 Given a Mojo review concluding Greatness beckons Dylan LeBlanc’s Paupers Field could be seen as an introduction to a significant talent. With the release of Album #2 it’s time to do some assessing of progress made. My own view of the debut was that it sounds more or less exactly like you'd expect it to sound, given the fact that Mr LeBlanc credits Townes Van Zandt, Neil Young and Spooner Oldham as formative influences and while it was nothing earth-shattering very few things these days are, but in any case worth a listen and I’ll be watching out for his next effort, which was purchased as soon as it was sighted on the horizon. A glance at the brooding figure on the cover suggests he’s working the Townes Van Zandt end of the influences this time around, and there’s a dreamy melancholy as the interestingly titled Part One: The End starts proceedings, and what sounds like a direct lift from I Saw Three Ships Go Sailing By (or whatever it’s called) leads into Innocent Sinner, three and a bit minutes of Americana noir. Brother starts off in much the same vein, but lifts into the chorus, making a change of pace that’s as much about light and shade as an inclination to rock out. Lush strings and weepy pedal steel claim the foreground for Diamonds and Pearls (the only non-LeBlanc composition on the album) and the yearning continues through Where Are You Now, just under five minutes of passed over for someone else, a vibe that runs into the ageing alcoholic reflecting on his youth and lost love in Chesapeake Lane. By this point in proceedings we’re looking at an album that goes to fit a mood or situation rather than working as entertainment. Bleak reflections on love and loss continue through The Ties That Bind and while Comfort Me sounds a little jauntier the pedal steel isn’t suggesting everything’s sweetness and light until an instrumental break around the 3:20 mark that leads back into the keening melancholy that’s LeBlanc’s vocal trade mark. There’s no relief in store through Cast the Same Old Shadow and while there’s a momentary distraction in the form of a crackle of radio static and studio chatter leading into Lonesome Waltz the song itself is cut from the same cloth as what’s gone before, as are Our Great Sadness (a dead giveaway, that title) and Too Wise. Cut, like his debut, in Alabama's Muscle Shoals Sound Studios and co-produced by three-time Grammy winner Trina Shoemaker, Cast the Same Old Shadow offers up a dozen songs of love and loss that work rather well as a suite, though uninterrupted bleakness makes it an album that needs the right setting if you’re up for a close listen. If, on the other hand, you’re after something lush with a voice that filters Neil Young through, say, Chris Isaak and works as an element in a sonic landscape rather than a lead instrument that’ll operate at subdued volume and minimise the desolation while you’re reading late at night it could well go down a charm. Greatness may well have beckoned, and while it hasn’t got here yet it’s definitely lurking just over the horizon.